Objective Recent studies have revealed a link between toll-like receptors (TLRs), Kruppel-like factors (KLFs), and the adipose tissue inflammation associated with obesity. 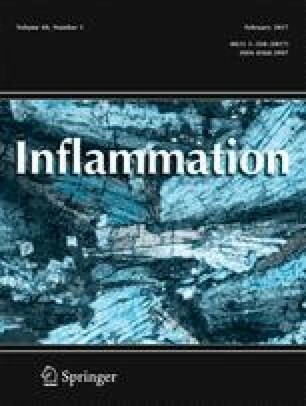 TLR4 is associated with chronic inflammation in obesity. KLF7 is known to play an important role in the differentiation of adipocytes, but its role in visceral adipose tissue inflammation has not yet been investigated. Thus, the objective of this study was to determine the correlation of TLR4 and KLF7 in inflammation induced by obesity. Methods A total of 32 Wistar male rat subjects were fed in the center for experimental animals of Shihezi University. The rats were divided into normal control (NC) and high-fat diet (HFD) group. Surgical instruments were used to collect rats’ visceral adipose tissue samples in the 10th week after HFD feeding. Ninety-five Uygur subjects between 20 and 90 years old were enrolled in the present study. The subjects were divided into two groups: the normal control group (NC, 18.0 kg/m2 ≤ BMI ≤ 23.9 kg/m2, n = 50) and the obesity group (OB, BMI ≥ 28 kg/m2, n = 45), and visceral adipose tissue was collected from the subjects. Anthropometric and clinical parameters were measured using standard procedures; biochemical indices were detected using the glucose oxidase-peroxidase method and a standardized automatic biochemistry analyzer; the plasma levels of inflammatory factors and adipocytokines were measured by enzyme-linked immunosorbent assay (ELISA); the mRNA and protein expression levels of key genes involved in the inflammatory signaling pathway were measured by real-time PCR and Western blot. Results In rats, compared with the NC group, the weight, Lee’s index, waist circumference, visceral fat mass, and the plasma level of Glu, TG, FFA, and TNF-α were higher in the HFD group, while the plasma levels of LPT and APN were significantly lower in the HFD group in the 10th week. Furthermore, compared with the NC group, visceral adipose tissue’s mRNA expression levels of TLR4, KLF7, and SRC were higher in the HFD group, and KLF7 was significantly positively correlated with LDL, TLR4, SRC, and IL-6 (P < 0.05). Meanwhile, in the Uygur population, the plasma levels of TG, LDL, and TNF-α in the OB group were significantly higher than those in the NC group (P < 0.05). Moreover, compared with the NC group, visceral adipose tissue’s mRNA expression levels of TLR4, KLF7, and SRC were significantly higher in the OB group (P < 0.05), and KLF7 was significantly positively correlated with TC, TLR4, MYD88, SRC, and IL-6 (P < 0.05); the protein expression levels of TLR4 and KLF7 were significantly higher than those in the NC group (P < 0.05). Conclusion Higher expression of TLR4 and KLF7 may play a vital role in the process of inflammation induced by obesity in visceral adipose tissue. Cuizhe Wang and Xiaodan Ha contributed equally to this work. The online version of this article (doi: 10.1007/s10753-016-0450-z) contains supplementary material, which is available to authorized users. This work is supported by the Natural Science Foundation of China (no. 81360142), the Program for High-Level Personnel Start at Shihezi University (nos. RCZX201230, gxjs2012-zdgg02), and the Applied basic research project of Xinjiang corps (2015AG016). Cuizhe Wang and Xiaodan Ha contributed equally to the paper.